We're proud to do our part in honoring our country's veterans and giving back to those whose sacrifice and patriotism defines our great nation. Our duty is to provide you and your family with professional and dignified assistance during your time of need and to support you in honoring your loved one for their dedication and selfless service. Under Federal law, the military is required to provide memorialization ceremonies for your loved one appropriate to their service. We provide expert consultation on all the various elements of the funeral services available. Presence of military staff includes the proviso that the Honor Guard provided for your loved one must include at least one member of their branch of service. The playing of Taps is done live wherever the availability of qualified buglers makes it possible. If one is not available, we can arrange to have a recording of excellent stereo quality played over loudspeakers. The Flag Folding ceremony is performed by two or more members of the military who fold the flag thirteen times, leaving a triangle with the blue background and white stars visible. This is presented to next-of-kin in appreciation for their loved one's service to the nation, and we can arrange its placement in a display box upon request. Additional Funeral Honors are available on request depending on the circumstances and on your loved one's eligibility and branch of service. While All County Funeral Home & Crematory doesn’t provide all of these services directly, we work with families of veterans (or veterans themselves during preplanning) to help ensure all proper benefits are accorded and that a memorial or funeral befitting your loved one’s time of service to the country is possible. A Presidential Memorial Certificate. This is a certificate expressing the nation's recognition of the veteran's service. The veteran's name is inscribed, and the certificate is embossed with the nation's message of gratitude and bears the signature of the President. It makes a meaningful keepsake for many families. Certificates are issued in the name of honorably discharged, deceased veterans. Contact us for assistance in applying for a Presidential Memorial Certificate, and we would be happy to guide you through the process. Headstones or Markers. The VA provides headstones and markers for the graves of veterans anywhere in the world and for eligible dependents of veterans buried in national, state veteran or military cemeteries. Some cemeteries may not be able to offer full burial due to space limitations but do still offer the interment of cremated remains. We can help you navigate the process of determining which burial or cremation services are available based on your situation and your loved one's eligibility. Memorial Plots. The VA provides a plot and headstone or marker in a national cemetery for memorialization of eligible veterans. If you wish to place the memorial in a cemetery other than a national cemetery, the VA will provide the headstone or marker but not the plot itself. While veterans who meet eligibility requirements are afforded certain burial or memorial honors regardless of provider, working with an experienced, qualified funeral home or crematory can make a difficult time less stressful for family and friends. We work with individuals who are interested in preplanning their own final arrangements to reduce the burden on the family. We offer cremation and burial services to meet a range of preferences and budgets, and we can walk you or your loved ones through all of the decisions that must be made before a funeral or cremation can take place. Whether you’re concerned about finding a peaceful resting place or creating a final memorial that honors the memory of a veteran, we can help. 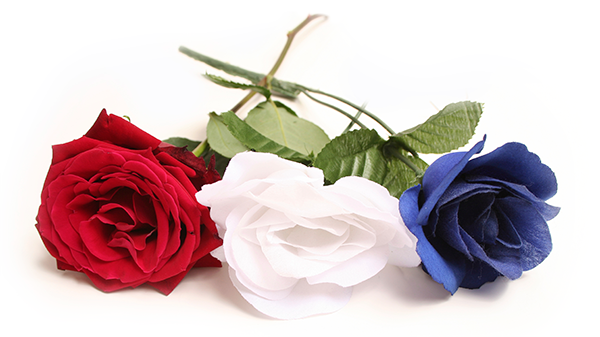 At All County Funeral Home & Crematory, we value your service and dedication to our country. Our caring staff is here to create a veteran memorial service that will tell your story and create a lasting memorial service in your honor. To learn more about the planning process or to speak with one of our team members, please contact us online or by phone at (561) 533-8878 or (772) 692-4055.